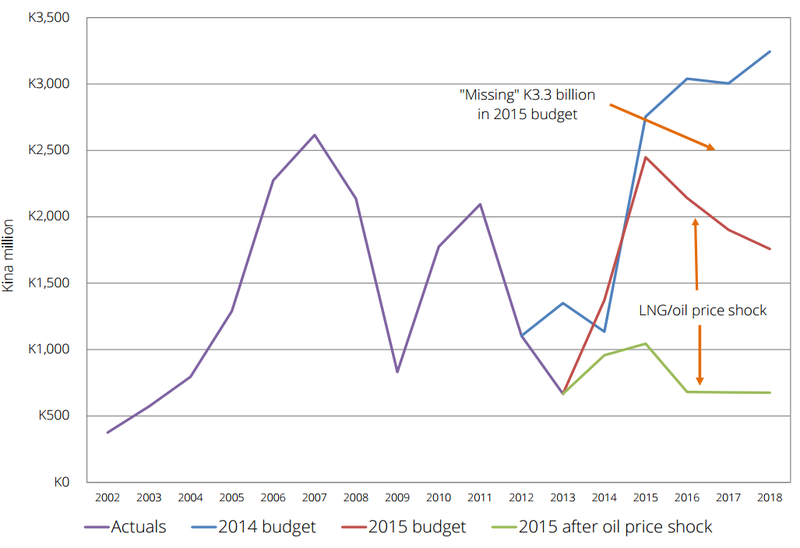 PNG must adjust to lower LNG/oil prices to avoid a crisis. The PNG LNG project is still extremely important but many of the benefits of the production phase of the project have vanished because of lower prices – probably for at least a decade. This note outlines the impact of the recent oil price falls on PNG’s budget, growth rates, and balance of payments and international reserves. The broad conclusions are that: there will be no tax revenue from the PNG LNG project for many years; deficit and debt levels will become even more unsustainable; the 2015 growth rate will more than halve; the balance of payments will be in overall deficit even with the PNG LNG project coming to full capacity in 2016; and, without an exchange rate depreciation, PNG’s international reserves will be exhausted in two years. 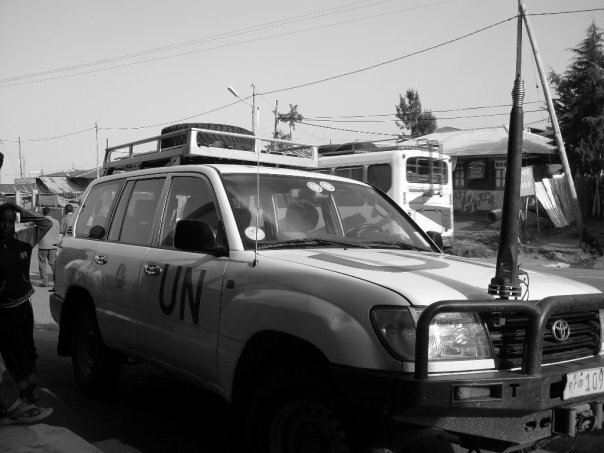 A policy brief is available which provides the technical detail of this analysis. The key findings and policy recommendations are set out below. 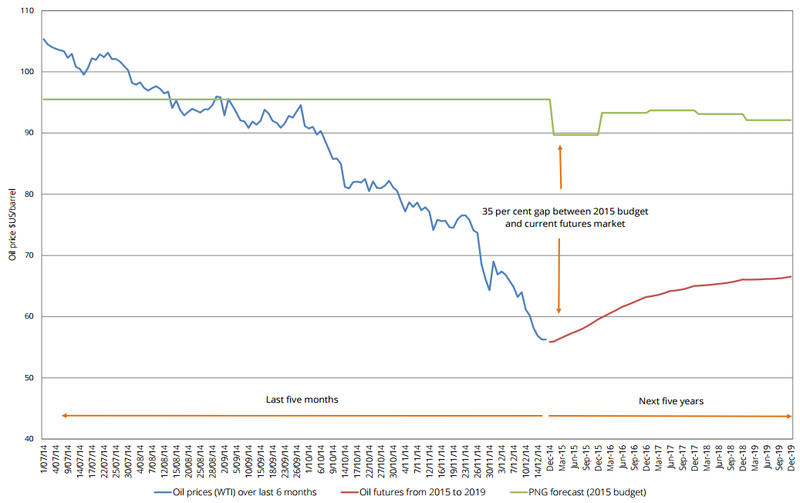 Figure 1 shows that oil prices are now more than 30% lower than the level forecast in last month’s 2015 PNG budget. LNG prices are directly linked to oil prices according to the IMF so the reduction in LNG prices will be similar. This price drop in a key commodity (LNG/oil) is a classic example of what economists call an “external shock”. Note: Author’s calculations for all graphs and figures available here. The analysis of the policy brief predicts that with a 30% fall in LNG/oil prices there will be no taxes collected from the PNG LNG project for up to a decade. This is because a fall in gross revenues of 30% is greater than the expected pre-tax profit rate (after allowing for depreciation). LNG dividends are still expected but at a much lower level. Revenues from current petroleum fields such as Kutubu will also be much lower. The net impact on the budget is a loss relative to the 2015 budget of about K1,400 million in revenue in 2015 and 2016 and above a billion in future years. This represents more than 10% of all PNG’s domestic revenue resources. In addition, there are off-budget impacts that will substantially reduce the net wealth of the PNG government. This includes a fall in the value of Oil Search shares (now estimated to be worth K600 million less than at the time of purchase) as well as a significant portion of the K3.3 billion in LNG dividends and mineral/petroleum taxes that “disappeared” in the 2015 budget, presumably earmarked for various off-budget expenditures, such as paying back the Oil Search loan. As shown in Figure 2, resource revenues to the PNG budget have traditionally been volatile. The 2014 budget painted a rosy picture of expected revenues from the LNG project. By the 2015 budget, a significant part of these returns, especially LNG dividends, were moved off-budget (presumably held in the proposed Kumul Holdings). As noted above, these funds amounted to K3.3 billion between 2016 and 2018. The bottom line on the right is the estimate of resource revenues to the PNG budget given a 30% fall in LNG/oil prices. These revenues return to the levels of the late 1990s and early 2000s when PNG faced another major drop in commodity prices. At an aggregate level (including all PNG’s tax and non-tax revenues), 2016 revenues drop to K10.9 billion in nominal terms, K2.5 billion less than the K13.4 billion expected only thirteen months ago at the time of the 2014 budget. This is a very large fiscal hit of just under 20%. The direct result of these revenue losses is that there will be no revenue growth after inflation from 2014 to 2018. Without policy action, the deficit in 2015 will be not 5.3% as per the budget (using IMF guidelines, as explained here), but 8.8%. The debt to GDP ratio will stay above the legal cap of 30% and, on realistic expenditure assumptions, may rise to 75% by 2017 – two and half times the maximum level in the Fiscal Responsibility Act. The change in the value of PNG’s major new export inevitably also affects the measured size of the economy or GDP. The revised LNG and oil price estimates reduce growth forecasts to 7.0% in 2014 and 6.9% in 2015 (down from 8.4% and 15.5% respectively). The PNG LNG project is extremely important for PNG. However, its importance has been diminished by the new commodity price outlook. The forecast in the IMF’s 2014 PNG report is for an increase in PNG’s net international reserves from $US2,427 million in 2014 to $US3,845 million by 2016. But allowing for the fall in oil and LNG prices, net international reserves are in fact expected to fall to $US2,049 million in 2015, covering just over three months of imports of goods and services. Reserves would keep falling below this critical level and PNG would be out of foreign exchange by early 2017. This is because the fall in prices moves PNG to a substantial balance of payments deficit (not the surplus that was originally forecast). Clearly, given the need to have some level of import cover, something has to happen soon. Otherwise, PNG will be going to the IMF or another country seeking a large bail out. 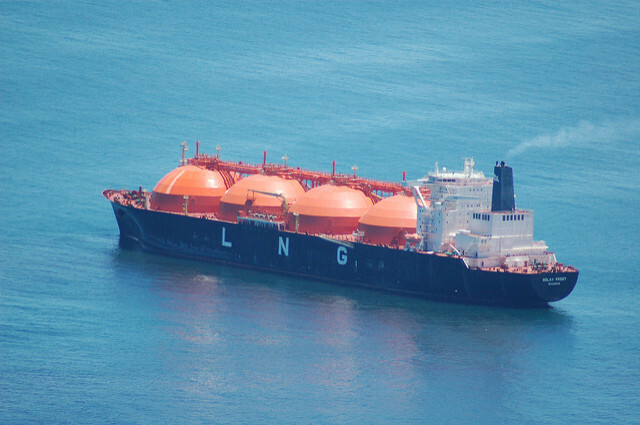 The PNG LNG project has often been thought of as transformative for PNG. But just at the time the country was to benefit from the revenue and foreign exchange flows from this major project, international markets have dealt a cruel blow. The decline in LNG prices also significantly reduces the viability of other LNG projects in the pipeline. With good policies, adjustments could be made to deal with such a drop in oil prices. However, PNG has moved to poor policies over the last six months such as moving away from a market based exchange rate, starting to print money to fund the deficit, and continuing with an unsustainable fiscal policy in the 2015 budget. PNG had set itself on a slippery slope towards a crisis, and the world just gave it a great big shove. But this is a problem that can be solved, provided that real changes are quickly made. At the end of its financial year for 2014, the PNG government should not spend any extra money, but instead pocket any savings from unspent allocations. In face of such a large shock, there is a need for an urgent public debate in PNG on other policy responses. This should cover how the 2015 budget should be rewritten to avoid a spiralling deficit. PNG also needs to move back to a market-based, floating exchange rate to provide a “shock absorber” for the economy, and find better ways to fund the deficit than printing money. Damn scary, and rather different to Julie Bishop’s Dec 15 forecast: “huge revenues are going to be coming into PNG”. May I contact you for further background? Golly Paul, you’re scaring the kids. With good reason I guess. Wouldn’t 2015 (and perhaps beyond) LNG export contracts already be in place with prices fixed therefore lessening the short-term impact of the drop in prices? Might be wishful thinking on my part but I’m guessing/hoping the LNG bosses consider these risks somewhat in their forward planning. Are you predicting no more external shocks affecting the price of oil one way or the other over the next 5 years? Your price graph looks pretty steady. 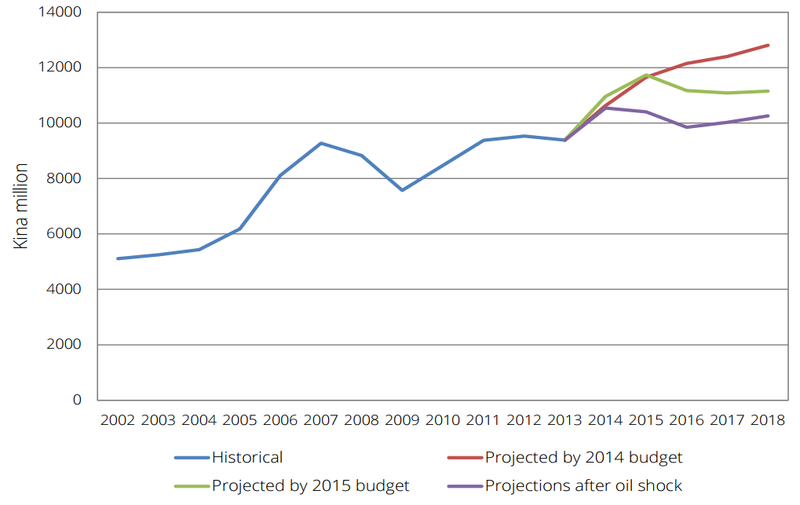 Looking at the oil price retrospectively over the past five years shows it to be pretty erratic. Will OPEC continue to ply their price war? Will there be no trouble in the middle-east or elsewhere impacting on price, or announcements of “peak oil” – we are still dealing with a non-renewable resource in a world with an exponentially growing middle-class. I believe quality of gas is a price and sales factor, too – with PNG producing high quality. Perhaps production can be bumped up, too. All things that may change the situation. Maybe. Although predicted depletion of foreign reserves is dire, I’d be worried about some of the remedies, too. Without really knowing the extent of the country’s loans (except that they are BIG) and their conditions, perhaps a lower kina – against a strengthening US dollar -will cause big problems with loan repayments. And the millions who now rely on store goods will find their pay packet buying less. Hopefully there are other ways. This is certainly a(nother) wake-up call to policy makers to do something major by way of diversifying the economy and supporting agriculture, tourism and fisheries industries and the like in PNG to flourish. 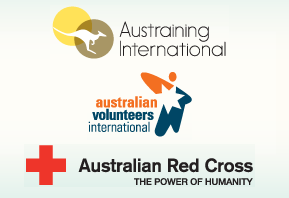 All of them with just as much potential as extractive industries and employing far more people. Just need the innovation and human capital to get it going. And the infrastructure. With the Oz government’s stated aim of engaging more in economic partnerships rather than direct aid, perhaps there are some opportunities for government incentive for agricultural enterprises in Australia to team up with PNG enterprises. There must be a wealth of under-utilised skills/knowledge and equipment down south, with seasonal crops and other seasonal factors. It might make some properties viable if they had a northern partner. The north paddock, so to speak. Just a thought. Same could be said for joint tourism and fishery ventures. Not much seems to be happening to develop skills and infrastructure around PNG in these areas, so perhaps this writing on the wall can be heeded. Quickly. Thanks Paul. I’m glad we have such analysis. We don’t find it in the newspapers here in PNG. Thanks for this thoughtful response. I agree with you entirely hopefully this being a wake-up call to diversifying the economy. Getting more significant improvements in areas such as agriculture and fisheries and tourism are vital. And we know that will take a combination of good macroeconomic, good microeconomic as well as other social, gender and other supporting policies to achieve. There is a chance that some part of the forward contracts were locked in at a price that isn’t subject to spot fluctuations. However, given the extent of the price drop, even some of these contracts are under pressure according to reports (such as reports of Sinopec looking to move out of some of its LNG contracts). There will be fluctuations in prices, but the market now expects that the oil price will only slowly improve from current levels (so around $US66 per barrel by 2019). 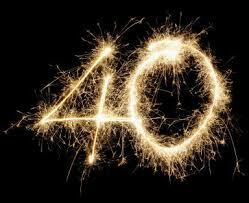 There are some analysts that predict a price of around $US40 (the long-term average price is around $US50). Other analysts say a return to US$80 per barrel. My general view when it comes to revenue forecasting is that people can make their private predictions. If they wish, they can then use their private money to bet against markets (which are very well informed in such an important market as oil). When it comes to use of public money, it is best to keep with a sound judgement based around market expectations. So that is why I’ve based the analysis on futures market prices (from the New York exchange). On the exchange rate, there are winners and losers, so the adjustment will be difficult. The costs for those with large loans is one factor, but so is the significant loss of incomes for smallholders (see earlier blog about 130,000 coffee growers dropping below the poverty line). Businesses are facing significant delays in getting foreign exchange and this is lifting their cost which will also affect consumers. The current exchange rate policy is deterring investment and making PNG less internationally competitive. PNG was doing well some 18 months ago with a market related exchange rate – time to go back there. Thanks for the comments. I do hope the blog will stimulate a healthy debate in PNG, both to deal with the short-term challenges as well as its longer-term challenges such as diversifying the economy.